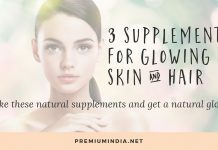 Home Gym Gym Supplements Whey Protein or Mass Gainer: What is best for you? Whey Protein or Mass Gainer: What is best for you? 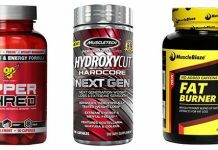 When bodybuilding, You need a supplement to get you great results on your hard workout regimes. 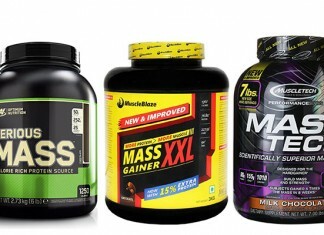 But often people get confused on what to get: Whey Protein or Mass Gainer. Mass gainers are designed for skinny guys who cannot gain weight and muscle easily. Mass gainer contains High Calories, Carbohydrates, Protein and other supplements so Hardgainers can get bigger. For skinny guys it’s very hard to get bigger, they need more calories, carbohydrates and protein than buff guys for weight and mass gain. It is not easy to get these things from diet only, So they need Mass gainer to get them going. 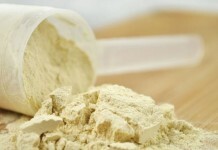 Just like Whey protein, Mass gainer is also entirely safe. In a nutshell, Mass gainers are recommended to skinny guys who want to put on weight and mass and wants to get bigger. Bodybuilders who want to get bigger and not just get lean also takes mass gainers. Protein is essential for Bodybuilders. You need Protein for lean muscle mass, To get bigger muscle mass and get those muscles to show. We cannot easily get enough protein from the normal diet, so we need Whey protein. Every person who wants muscle mass and lean muscle needs Protein supplement. Protein powders from most brands contain pure whey which will be digested by your body in around 20 minutes, So it is great Post workout supplement because your body is in need of protein after a workout and providing it immediately after workout ensures you get best of your workouts. Still confused whether you need Mass gainer or Whey protein? You can contact us on WhatsApp number above or from the contact page and we’ll help you out!